Hello Sunshine! I just want to share that on top of my underarm laser hair removal treatment, I'm also supplementing the routine with an underarm whitening product--Belo's underarm whitening cream. 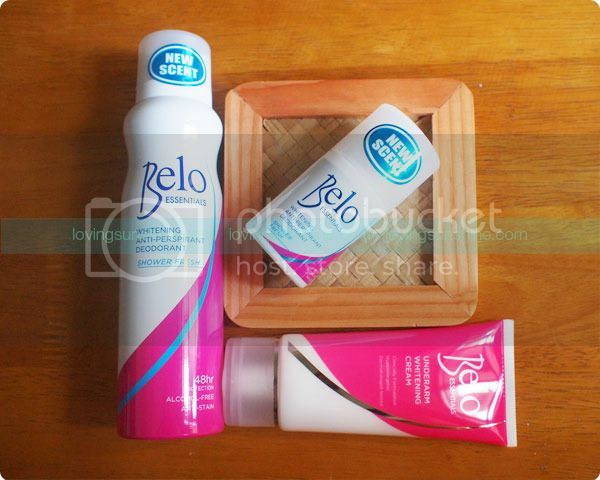 The Belo underarm whitening cream is hypo=allergenic, clinically formulated, and dermatologically-tested. I got it as a set from my Sample Room family, and while I'm currently just using the cream right now, I'm positive it will deliver results--as did other Belo products I've used. However, if you want to achieve optimal results, I'm sure partnering the cream with either underarm sprays would help! This clinically formulated underarm whitening cream penetrates underarm skin and intensively whitens at the cellular level. It targets darkening with Alpha Arbutin and Hydroxyphenoxy Propionic Acid , while also preventing redness caused by habitual plucking or shaving. Fortunately, I'm going through underarm laser hair removal so I don't have much redness to worry about. Oh, this product can also be used on your elbows, knees, areolas, and inner thighs! Galing!